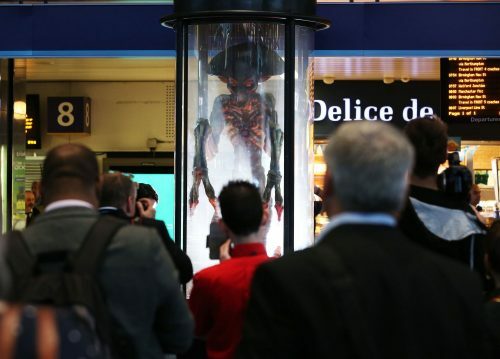 What happened when you deliver an alien from Independence Day: Resurgence to Euston Station in London? The predictable rely. Lots of people turn up and take photos. If it was real and escaped? Probably the same thing would happen! Not only that, the stars of the film were there to christen a Virgin train named after the film. That and more images can be seen in the gallery below.